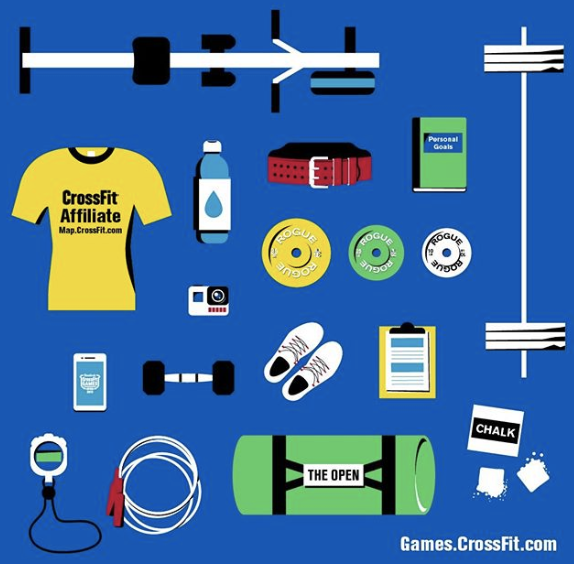 CFSV is officially registered for the 2019 CrossFit Open. Workouts get announced via live stream Thursdays at 5pm. Each WOD will be fun and challenging and 100% scalable. The first one will be called 19.1, second 19.2, and so on. We do the open workouts as our Friday WOD and we encourage folks to participate in our Friday Night Lights at 5:30pm each week. Cold drinks afterwards with friends is what we look forward to the most. The Open starts February 21st, 2019. 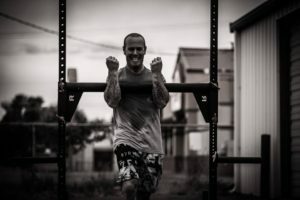 Since we have some major bad asses at our box, we encourage anyone wanting to do the online Judges course to go for it. Cole Sager, Ehea Schuerch, and Dan Manheimer are all hoping to qualify to the Games. Each will need to finish in the top 20 in the world after the 5 weeks. The rest of us just want to be pushed toward improving our fitness and possibly accomplishing a PR or skill that has held us back in the past. It brings the community closer together and we’d love to see some community rivalry between members come out in full force. See you in the Open! The 5am EXPRESS class is here to stay. It’s 30 minutes of fast paced fitness that gets you a quick sweat and can have you winning the day in a matter of minutes. We offer it Monday – Friday and the workouts differ from our 60 minute classes. We don’t incorporate technical movements, but you will certainly be challenged. It’s a great option for those that need to be at work early or perhaps your catching a flight that day and want to feel your best before you travel. Our regular classes have the meat & potatoes workout of the day, but we do our best to offer RX+, Rx, and Lite options so you can choose the best stimulus for your fitness level. You should be able to find strength pieces as accessory work, midline options for your core & stability, B-work is simply aerobic capacity options to build your engine, and probably most importantly mobility options to keep expanding your range of motion and muscle recovery. Work with your coach, come early & stay late! We have adult gymnastic classes offered Mondays at 10:30am (with childcare), Thursdays at 6:30pm and new time Sundays at 9am. The premise of this class is to provide you with skill transfer movements that will undoubtedly improve your confidence, balance and coordination. ANYONE can benefit from learning this fun drills and skills why not worrying about beating the clock on the wall. We feel this is an offering that should be taken advantage of and won’t leave you sore or tired. Open Gym times are sprinkled throughout the week to help you work on weaknesses and extra pieces. It’s a way to help members create time for themselves while juggling a full schedule of work, family and responsibility. We prefer classes over open gym, but we want you to be able to create time for yourself. Finally, don’t forget every Thursday at 10am we offer a core mobility class with Coach Presta that will improve your body care and maintenance. 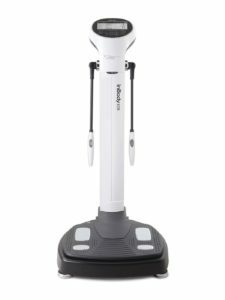 We invested in the INBODY 570 back in the fall of 2018. We pulled the trigger because we wanted black and white biometrics on our members. We feel as though we are the Leader of all the local CrossFit boxes and we hustle to stay out in front. The INBODY gives us so many data points on your body composition and highlights where to start on nutrition instruction. We are extremely excited to know your visceral fat levels (fat that surrounds your organs), subcutaneous fat levels, how much muscle and water your body is holding inside and outside of the cell walls. We can manage your muscle mass, bone density and give you accurate calorie and macronutrient prescriptions based on your numbers. We also partnered with Healthy Steps Nutrition to work alongside a CrossFitter who is also a registered dietician (Nicole Aucoin R.D.). With her help we have meal plans, phone app, and continued accountability for members and non-members who want nutrition spelled out so they can build a strong foundation. We can only control 1 hour a day on how you move and eat, while you control the other 23 hours. Nutrition is by far the most critical component on your body composition, energy levels, recovery and performance. At one point we offered Women’s only classes and CrossFit Lite classes. We went away from any exclusive offerings in order to have 100% inclusivity at our box. We were pumped to have everyone regardless of fitness level, gender or age, training alongside each other. It was a great move for us, It made our community stronger! 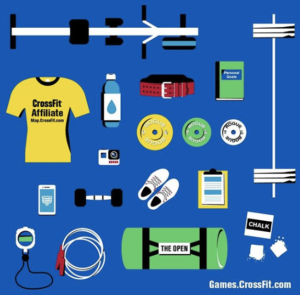 So why add a Baby Boomer CrossFit Class? Well, it is undeniable that CrossFit HQ is making a big push to help our boomers fight off the ravages of aging. Many folks are starting to retire and want to enjoy their retirement to its fullest. 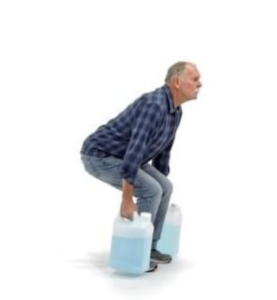 We all know that CrossFit is the perfect tool to stay strong, functional and out of a nursing home. To stay out in front of this big wave, we are going to add a NEW class called CrossFit Boomer to our box. Be on the lookout for the announcement, it will be held twice a week and we’ll have a membership option for those fine folks wanting to make the most of their Golden years. We’re bringing back Coach Horse Chick and we’re looking at 6pm twice a week. The workouts don’t differ by kind, only by degree.